I couldn’t help but share this story of the creative, generous ways Peace Corps is helping fight Ebola in West Africa. Click here to read the full story. 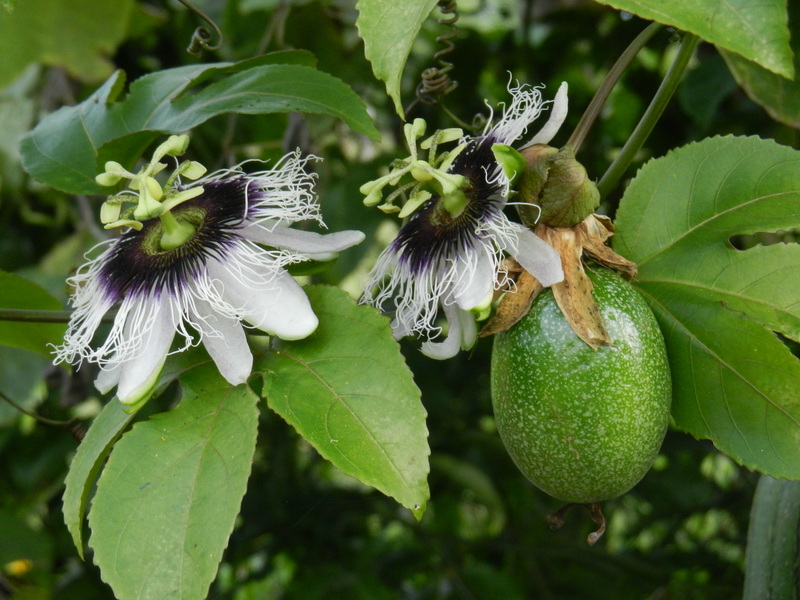 Gardening can’t possibly get more fun than pruning my favorite fruit, passion fruit or mburucuya in Guarani, and delighting in the gorgeous, delicate flowers and fruits hanging like heavy Christmas ornaments while stepping through masses of mint and having its aroma waft itself to my head. Oh boy. The seeds from last season’s crops were shared with the community because the fruit was SO much larger (large naval orange or softball size) than what is available locally (golf ball to mandarine size) and everyone wanted to plant this better fruit on their farms. More juice! 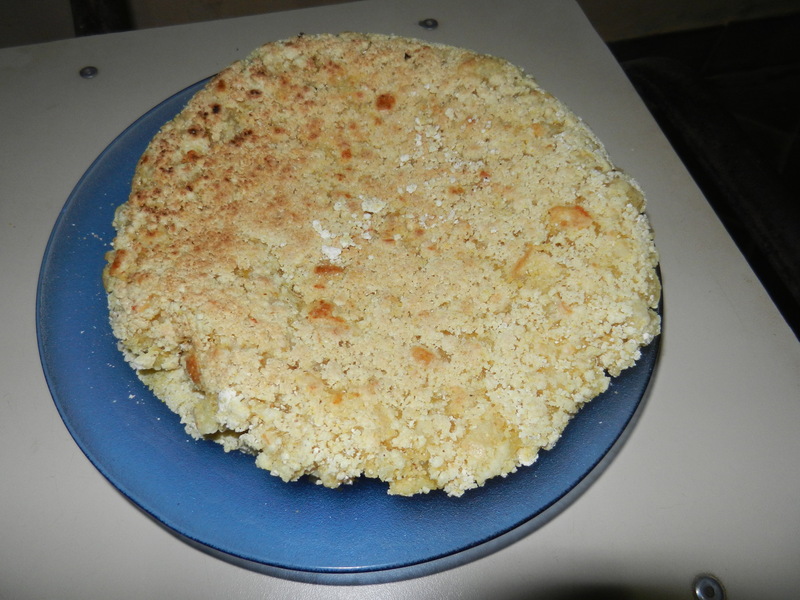 I also donated the pith (white part between the skin and inner pulp) from my discarded fruits to a senora who dried it and made it into flour. Latest crop of passion fruits, waiting to mature and ripen. Passion fruit flowers and the actual fruit. One of my all-time favorite flowers. And they smell like lillies. Lunch, which is sometimes dessert first just for fun because I have my priorities, was homemade brownies in a cup drowned in homemade yogurt (my best batch yet!) with fresh mint from the garden and organic cinnamon. I allowed myself some restful digestion in the hammock (a rare treat and first of the season) while finishing my latest read Tiger Heart, Tiger Mind by Ron Rubin and Stuart Avery Gold. (See my Library page for other latest additions of wonderful and recommended books.) We are so lucky here at Peace Corps Paraguay to have an amazing library at the office! The afternoon continued with raking dead grass and leaves to cover the garden soil. It hasn’t rained in at least three weeks, the soil is as hard as cement, and the dust blowing off the road with every passing vehicle is unbearable. The leaves and grass will help preserve what moisture is in there and keep the weeds down. I don’t know how the plants eek out their survival but we are due for a week of rain starting tomorrow, which everyone in town is excited for. 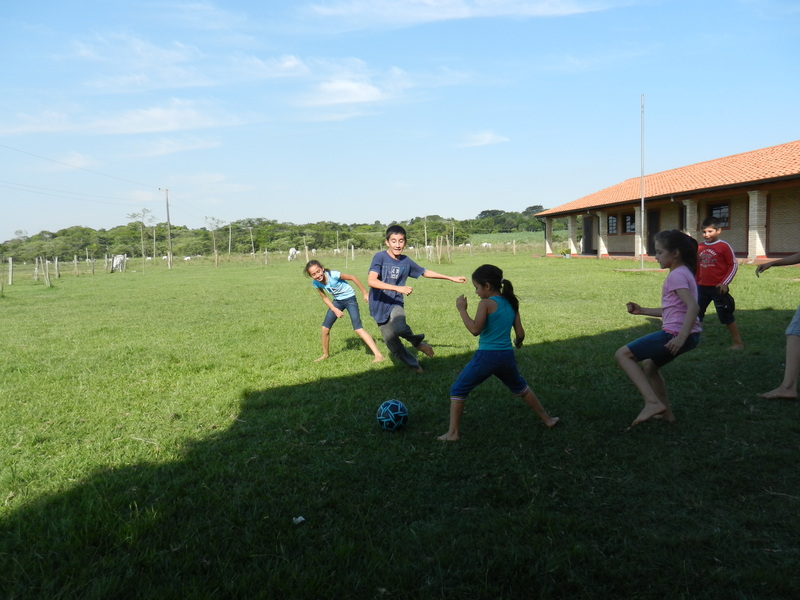 At dusk I sauntered to the futbol field across the street to watch the kids and young adults play volley ball. The senoras had already chosen their seats in the grass among the collection of dried cow patties and thistles, except the lone senora who played goalie. I just sat and listened to the squeal and laughter of kids; the thump of the ball against bare feet, heads, and legs; the senoras whispering their gossip. When we parted ways, the evening was so perfect that I couldn’t help but linger on my patio: a bug-free, light breeze of the most perfect tropical temperature, a bursting look-at-me sunset, the occasional squawk of a bird retreating to its nest for the night. It wasn’t long before the community retreated to their own homes for dinner, the evening quieted and the hush and dark of night settled over us all. Thank you, Paraguay, for another beautiful day. Stay tuned for more Tales from the Tropics soon. I’ve got some GREAT stories on the way. I remember the first day I visited my community. We were still in training, our first delicate weeks incountry, and had a 5-day test visit, first glimpse, chance to meet people and get a feel for the place. I remember how in awe I was at everything around me and promised myself to never take these things for granted: giant termite mounds, cows/pigs/horses/sheep blocking the road, people’s friendliness, giant toads, beautiful sunsets, the smell of burning trash, the cool-looking Brahma cattle, loud Paraguayan music blasting from four different homes, free-ranging bulls, guinea hens that don’t let you sleep, millions of mango trees, wispy baby pink flowers along the footpath, how every car appeared to be older than 1980 and every delivery truck was a Mercedes model, and more. Well, despite my promise, the other day I was walking home from the next town and saw a burrowing owl on top of a termite mound. I didn’t remember this termite mound or …the dozens next to it. 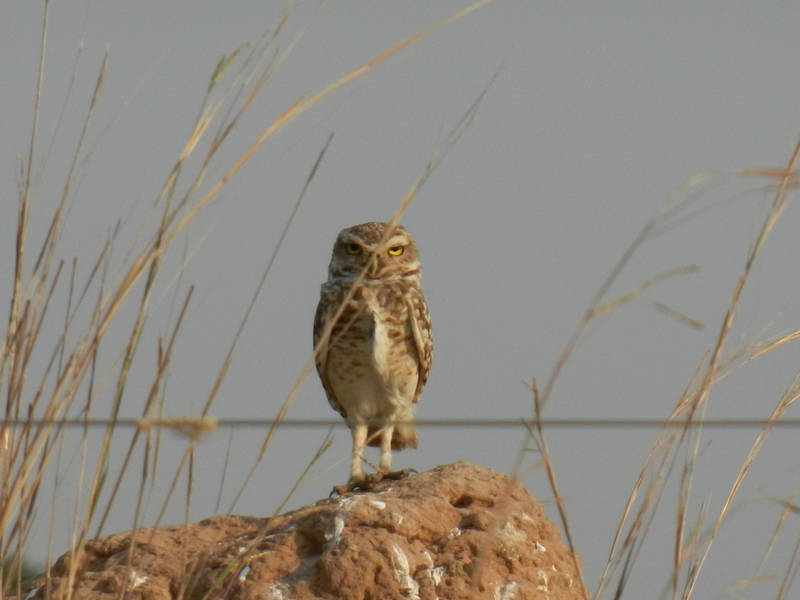 Burrowing owl perched atop a termite mound near the road on the way to my community. These guys are so cute and less than a foot tall. In that moment, I realized I’d stopped ‘seeing’ the hundreds, perhaps thousands, of termite mounds dotting the prairie; they’d become invisible to me, just another part of the landscape. I realized I’d forgotten to swoon over the rust colored soil all around me or the way the long spires of sugar cane waved in the breeze. My senses had become lazy, taking the everyday sights for granted so I could spend needless energy chasing, silly unhelpful stories or fears in my head, or start making plans for the next activity when I got to the house. And look at everything I’d been missing in the meanwhile! I challenged myself to reconnect with my surroundings and be present in every moment. I caught the smell of smoke from a new prairie fire and the ever-present essence of cow manure flattened into the road; I heard the calls of various birds, felt the pang of baby goats calling to their mamas and mama cows calling to their babies; I appreciated the rumble of motorcycles and thunder in the distance. Through a simple matter of shifting my attention, I reopened a whole new world of amazement. We see what we pay attention to. What are you missing out on by not being present? Are you even aware when this happens? What are you going to do about it? Where else but Paraguay would you see a pig galloping down the road and a baby goat napping in the remains of a deconstructed termite mound? My daily entertainment is exquisite. Have you ever been so present in a single moment that the beauty of that moment and the realization of all you have to be grateful for becomes so suddenly overwhelming, the joy feels too big for your body and leaks out as happy tears? Actually, it happens a lot here in Paraguay. Blessings abound when you simply pay attention. Look and see what you find! It’s all about an attitude of GRATITUDE and being PRESENT. PS- for more joy – try my recipe for Mandio Chyryry – my latest experiment adds a dash of curry, cayenne, and cinnamon while simmering… and I’m in love! Yesterday marked the beginning of my last 30 days in Paraguay. Just a moment ago it seemed I had an entire 27 months ahead of me, like a canvas awaiting its paint or the clay ready for the sculptor. Now, in the blink of an eye, those months have come and gone. I have only 30 more unforgettable sunsets, 30 mornings to step out the front door into the sunrise and invent a new day. Only 30 more days to say “Yes” to as many experiences as possible, to visit, to hear the rhythm of conversation in Guarani. Just 30 days to take in the magic, soak up the culture, witness the generosity and light-heartedness of Paraguayan people, nurture friendships, be the recipient of my community’s jokes, take in the sights of vast sugar cane fields and cows in the road, watch giant frogs feasting on bugs at dusk, hear the daily routine of cowboys herding cattle or the occasional sacrificing of an animal for the Sunday BBQ. Only 30 short days to continue sharing what I can, learning what I can, and loving the friends I have made here. I have a whole 30 days to practice being present, soaking up and being grateful every moment of this ride we call Peace Corps. Sunset on the prairie in Paraguay. Another beautiful Paraguayan sunset. The eucalyptus trees in the foreground are very popular here because they mature in 7 years and bring very good money when sold for lumber. A grassy road on the prairie at sunset. My boss and her 2-man team made a visit to my site today to talk with the community and learn more about their request for another volunteer. With my time coming to a close the middle of next month, we are all making preparations for the transition. The senoras from my Women’s Club (Club of Witches they like to be called) recounted stories of the fun we’ve had together and one in particular who proudly described how she began calling herself “Primera Bruja” or the “First/Best Witch” after a recent incident of peek-a-boo with me (see September blog post “AHAs in Cultural Exchange” for details). Since then, I only refer to her as my Primera Bruja and her sister as My Segunda Bruja (Second Witch), far better than given names! They. Love. It. Another gent asked if I could stay two more years; the others nodded in agreement. Of course, he was one of the fellas who had hoped to marry me one day and he was running out of time. Haha. It was a great meeting of feeling acknowledged and appreciated as a person and for my work but, even more importantly, considered as one of the community. While my team was here, my program specialist and I chatted in the garden, taking in the view of the hills in the distance, sharing various things I was trying, answering my questions about why my 3rd generation of carrots was growing deformed, and sharing the variety of plants that had volunteered (self-seeded) themselves throughout the garden – green manures, carrots, beans, and a new invasive weed. While there, we watched a beautiful orange and black butterfly tuck her abdomen under the edge of a passion fruit leaf and lay an egg mere inches from us! 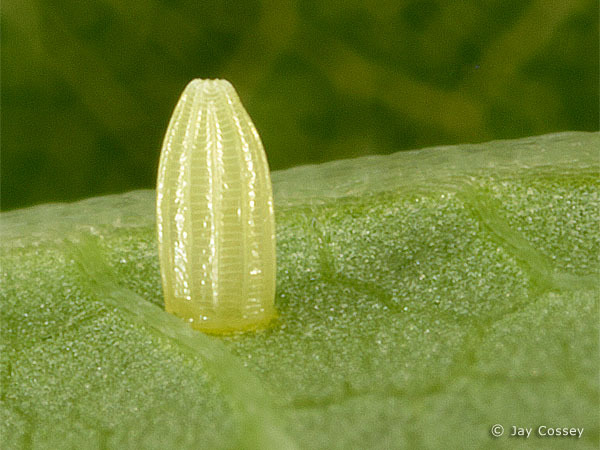 It took only a second and when she flew away we examined the tiny egg with its texture and color. Had it not been for his watchful eye, I would have missed the whole thing. Amazing! It pays to practice awareness and live in the moment. I’m so grateful to my team for placing me in this community to live, love, laugh and cry with these beautiful people for the past two years. At the end of the day, it’s the relationships and the little things that really matter and make life most beautiful.